We value our Corporate Sponsors’ dedication to our community. We appreciate our business sponsors who have donated items and/or gift cards to help us encourage our library staff during National Library Appreciation week each spring and annual Fall Library Appreciation for the staff and volunteers at both the Mocksville and Cooleemee branches of our Davie County Library. Non-monetary donations enable us to use cash from other donations, and our fundraising to purchase items our library needs, such as a utility cart for circulation and a bulletin board for the Cooleemee library. Businesses that provides support and sponsorship receive a certificate of recognition at our Annual Meeting as well as recognition on our website, in press releases and at other social media. Those who donate at Gold or Diamond Levels are recognized on all our social media sites, in our e-newsletter to members, and their logo and links are added to the side bar on our front page. Business donations may also be highlighted in F.O.L. Press Releases. Tax-deductible monetary donations by Business or Individual Sponsors can be any amount, but donations will be earmarked for a specific project. 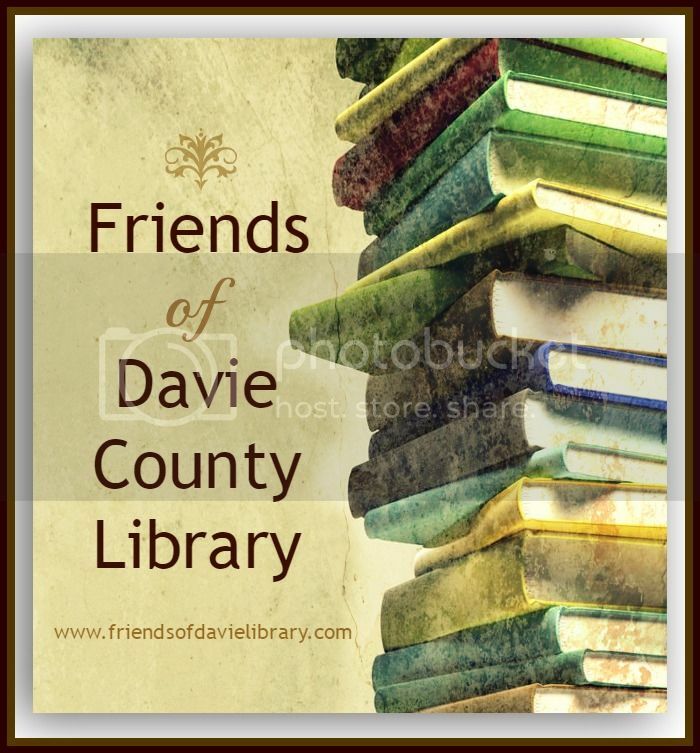 Donations to the Friends of the Library support library and educational services in Davie County. The Davie County Library System consists of two branches; Mocksville’s Main Street Branch and the Cooleemee Branch. For questions on how you can donate please email us. Or donate through PayPal or credit card here on our website. Join F.O.L. or Donate Here!